Roulette is a classic casino game that appeals to a variety of players because of its simple rules, multi-layered betting options, and fast action. Easy and quick to learn, but with a complex betting system that can take your game to the next level, online roulette offers plenty of entertainment. Originating in 17th century France, roulette has fast become a staple in any bricks and mortar or online slots casino, and is available in a number of variations that can be enjoyed around the clock, 365 days a year. 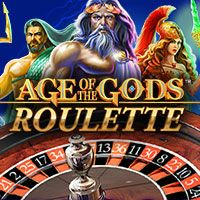 Boasting state-of-the-art graphics and animations, and a smooth gaming platform, this is an excellent choice for any player wanting to play traditional casinos games that are fun, straightforward and offer a varied payout system. 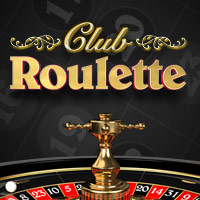 The first appearanced of any sort of roulette game came about in France in the early 17th century. The name actually translates as ‘Little Wheel’ from French, and the game originated when a probability student called Pascal - possibly accidentally - created the first spinning wheel that could be used for casino games purposes. This first wheel has a different design to what we’re used to, with pockets in which the ball would land, rather than the slots we have now. After a few alterations and improvements, roulette as we know it was invented and, according to primary source documents from the 1700s, it became a regular fixture at parties and social gatherings across France. The original roulette wheel was marked with numbers from 1 to 36, as well as a single zero pocket. This is still the case on the European and French versions of the game that we play today. As interest in roulette increased, and its popularity grew, new possibilities opened up thanks to a developing manufacturing industry. The wheel was quickly altered to have slots instead of pockets for the ball to settle into, like the version we play today, and provided players with a fairer and more reliable game. The double zero (00) version of the game that is used in American roulette appeared in the mid 1800s when travel became more common and the game crossed over the Atlantic. The double zero (00) created further opportunities as additional bets had to be devised to accommodate the new slot. This paved the way for other variations to appear and, as manufacturing skills improved even more, the game improved also, with the invention of a wheel that could not be manipulated. 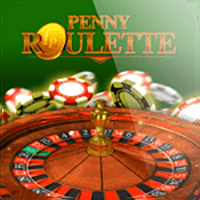 By the turn of the twentieth century, roulette was one of the top casino games in the world. Modern technology enabled even more incredible opportunities, with easier access and a number of new variations, such as live and progressive games, boasting some of the richest accumulative jackpot payouts available online. Online roulette is arguably the fastest, fairest and most exciting version of the game possible. Without geographical restrictions, multiple game variations are available around the clock, so you can enjoy your favourite form of entertainment at any time that suits your lifestyle, and from the comfort of your own home. You can also claim a number of casino games bonuses, including a welcome bonus of 100% up to £/$/€100 as when you sign up and play in Real Money mode. When you play online roulette, you place your bets on a clearly marked table that displays most of the bets available to you – however, there are also other bets to discover. Our software is designed to help you make your selection, so hover over various parts of the board including the corners of groups of numbers to see what bets are available. Alternatively, see our glossary below. To place your bet, set the bet amount by clicking on the chip denomination you wish to play and then click on the section of the table that corresponds with your chosen bet. Each click will add one chip at a time – and if you make a mistake and wish to remove a chip, simply click on your chip stack to remove one chip at a time. Alternatively, hit Clear to start again. When all your bets are activated, hit Spin to set the wheel spinning. Watch to see where the ball lands and see whether the outcome of the game matches your prediction. Any winnings due to you are paid instantly and automatically in accordance with the payout table – your casino bankroll is clearly displayed in the bottom left of your screen and any winning bets will be highlighted on the screen before payment is made. Your odds of winning a payout alters depending upon the game variation that you choose to play – mainly because of the different wheel types, but also because of the various bets available. When you choose which game you want to play, consider the odds of winning and balance this against the overall design and special features to find the right match for you and your tastes. 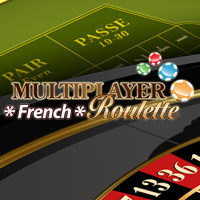 European and French roulette offer the same odds of winning, because they are both played using a single zero wheel. However, French roulette has a slight advantage in many players’ eyes because it has the extra ‘la Partage’ rule, which returns half of your stake if you bet odds/evens and a zero is spun. Mini roulette games have fewer betting options, so it offers higher odds of winning when compared to other standard games. 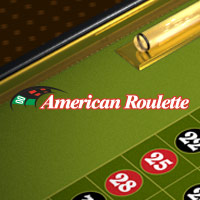 The American roulette game, with its extra zero, offers lower odds of winning certain bets such as a straight number or multi-number bets (corner, column etc). This is because the zeros cancel out any number bet and, with two zero slots in play, there is a higher risk of your bet being superseded. On a more positive note, however, the extra zeros mean that you have equal probability of achieving the following bets: colour, even/odd, low (1-18) and high (19-36). When it comes to making bets, a simple rule to remember – whatever game you like to play online – is that the lower the payout, the more chance you have of hitting the desired number or combination. If you take this into consideration, it means that even money bets are the easiest bets to hit. Players that enjoy hitting a series of small wins, and watching them build up in their casino bankroll, should opt for the low-risk bets, including Red, Black, Odds, Evens, Hi, and Low. The bet that pays out the most at 35:1 is a straight bet, and this is the most difficult to hit but an attractive choice for many players that like to play for bigger stakes. There are a number of online roulette variations available to our players, so we’ve compiled a list of some of our players’ most popular games. 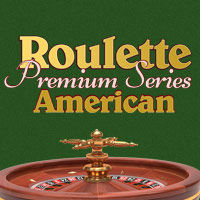 American Roulette: This game has the extra double zero (00) slot on its the wheel, and originated in America. Having since has gained worldwide popularity, this version follows the same standard rules but offers a few additional betting options and includes the additional zeros, which also affects the payout structure. If you’re new to the game, this one is easy to learn, so you could be playing in minutes. 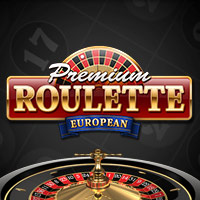 European Roulette: This is the name given to the classic game that evolved from Vingt-et-un in France. 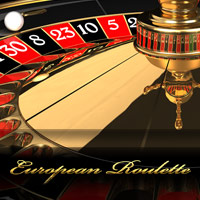 An excellent choice for all types of player because of its generous odds of winning, you can spot a European Roulette wheel easily because it has a single zero (0). 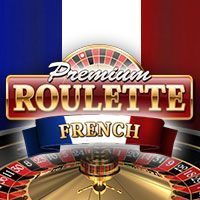 French Roulette: Using the same format and style of wheel (single zero) as European Roulette, the French variation also boasts additional rules, such as ‘la partage’. This rule means that if a player bets odds or even and the ball bearing settles on the zero, instead of having the bet canceled out and losing the stake, the player will have half of their stake automatically returned to their casino bankroll. Live Roulette: Live games use a combination of the very best in modern video technology with online game design, functionality and a professional live dealer. You use the software to place your bets and initiate games as usual, but the dealer spins the wheel and gives the in-game announcements on playing patterns and statistics via video stream. Everything is in real time, so you can also interact with the dealer via chat, adding an increased social feel to the game. This is as close as you can get to enjoying a bricks-and-mortar casino experience from the comfort of your own home. 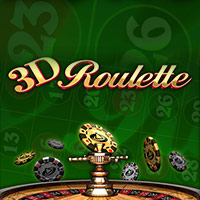 Mini Roulette: Available online only, this game is a condensed version of the traditional one. 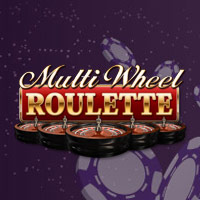 Using a wheel that is numbered from 1-12 with a single zero (0), Mini Roulette offers fewer betting options with higher odds of hitting a number, so the payouts are lower than standard games. A faster game, this is great for players who want to try something a little different. Cashier: Go to this area to make deposits and cash out any winnings. Clear Bets: This button will remove all bets you have placed on the table when it is clicked – but only before you have started to spin the wheel. Download Full Casino: This option will be visible to players who are using the browser to play, giving them the option to download the casino software to their computer for an improved online gaming experience. Rebet: If you click this, the software will automatically duplicate the previous bet that you made, at the same stake. You have chance to review the bet, and must then hit Spin to set the game in motion. Another useful symbol to recognise is the small spanner in the top right corner of your screen – this allows you to access various useful windows. Click the spanner symbol to access your game history, general, audio and games settings, and the games rules which are under ‘Help’. If you want to play for real money at Slots Heaven, click on the Play For Real Money button on any page of our website and input the requested personal details for security and identification purposes. Read and accept the terms and conditions, hit Create to activate your account, and then go to the Cashier to make your initial deposit. We have a wide range of deposit methods for you to choose from, including credit cards, debit cards and online e-wallets. When you have made your deposit, head to the casino lobby and choose your favourite game to play. If you are a new player, you are also eligible for a Welcome Bonus of 100% up to £/$/€100 (plus 200 spins). Simply opt in to the bonus when you make your initial deposit – a pop-up window will show, giving you the option to accept or decline the bonus funds. You can use your bonus money to play any of our online casino games, and all games count towards the wagering requirements. These betting terms will assist you when playing roulette, helping you to understand the different bets available and their payouts. Colour: You can choose to bet on either black or red for the chance to win even money. Column bet: You bet on a line or column of numbers, as shown at the far end of the betting table, and receive a payout of 2:1 if you win. Corner: A bet on four numbers that is indicated by placing your chip in the centre corner of the four numbers you want to bet on. Win and you’ll receive an 8-1 payout. Dozen bet: A wager that covers 12 numbers in total and awards a 2-1 payout if you hit any one of those numbers. High/low: This pays out at even money if you win and is a bet on half of the possible numbers on the wheel – either 1-18 or 19-36. Odds/even: This is a bet on the number being either odd, or even, and pays even money. Split bet: A bet on two numbers, indicated by placing your chip in the centre line of your two chosen numbers. It awards a payout of 17-1. Straight bet: A single number bet that pays the biggest amount in the game at 35-1. Street bet: This is a bet on any three numbers in a horizontal line and it pays out at 11-1. Triple: Bet across three numbers for the chance to win an 11-1 payout if any one of the three numbers wins.